Last Friday we ventured to the Great Northern in Carlton for a uni trivia event. Not only did we win trivia, comfortably I must say, but we won beer. At the Great Northern jugs of Pacific Ale are the same price as Carlton! The rest of the tap range is excellent and complete with Mornington Brown on handpump we had a big night. 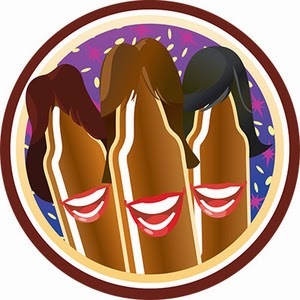 The "Brewnettes Have More Fun" badge was in the latest batch of badges added to the core Untappd range. Like most of these badges it's a nice simple one to get, simple check-in to 5 unique brown ales and you too can have this badge. It is a leveled badge, so expect to see plenty more of it in the future. Apologies for the photo, it was the best of 4 or 5 that I tried to take... That aside Mornington Brown pours a reddish brown colour with a fluffy beige head. The head retention leaves a bit to be desired, with only a rim of foam left quite quickly, but you do get some nice lacing. 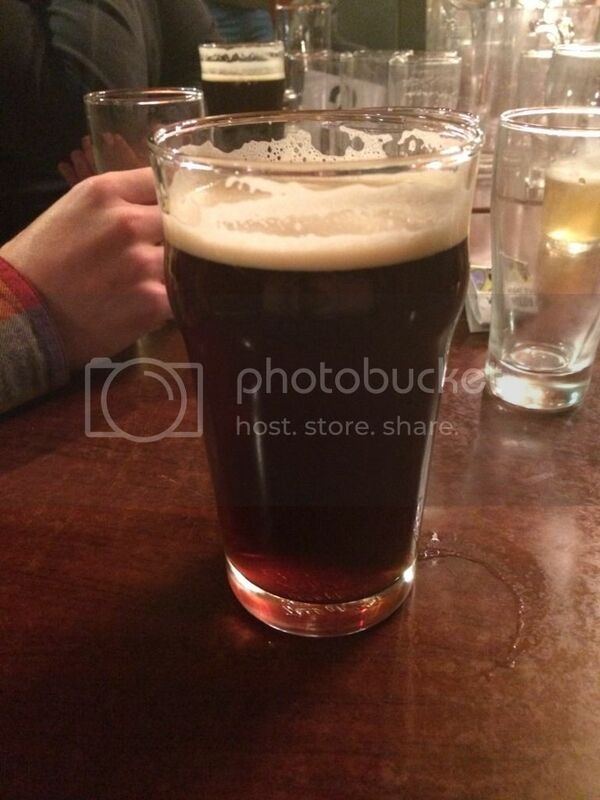 This photo really doesn't do it justice, it's a nice looking brown ale. Considering I was quite a long way into a pretty decent session most of my aroma notes are from memory. It's got an overall slightly sweet aroma of candied sugar with roastiness also coming through. There's hints of citrus hops as well, which is a nice addition for the style. Much like the aroma actually it's quite light for the style. There's quite a lot of roast and only hints of the candied sweetness which is so prominent on the nose. There is a nuttiness to the flavour that I hadn't picked up before and there was plenty of bitterness, while still being light bodied for the style. Some of Victoria's best are coming out of the brewery at Mornington. The year-round Brown offering is no exception. It truly is a beer that could turn macro drinkers into craft drinkers. It's incredibly smooth and somehow doesn't sacrifice flavour for drinkability. This one is just as good in bottles so if you come across it I really recommend trying it. It's a beer that will appeal to all from the most earnest CUB drinkers to craft beer fanatics.